I always love finding new, up and coming brands and was recently introduced to the new UK based luxury menswear label, Guiltyvine. This new label brings quality and craftsmanship to a modern menswear line. The brand launched its Autumn/Winter 2014 collection in January, which included over 20 looks. Guiltyvine describes their brand as a “fusion of classic British tailoring, modern street fashion and stripping back the classic styles and carefully restoring original fits with new detailing.” I could not agree more- a look through the Autumn/Winter collection reveals tailored outwear, trousers, and an array of graphic t-shirts with a modern edged characterized by the brand’s “Artist in Season” collaborations. Edward Finney was appointed creative director in June of 2013. Finney has held roles at various labels including John Galliano and Alexander McQueen. I am excited to see the life Mr. Finney will instill into the brand moving forward. The above looks are styled in a modern way that would make them perfect for any on-trend man. Worn together, these looks really took on the “menswear” trend that is becoming very popular, but all the pieces are great as separates as well. The trousers can be worn in a myriad of ways while the casual wear is perfect for the weekend. 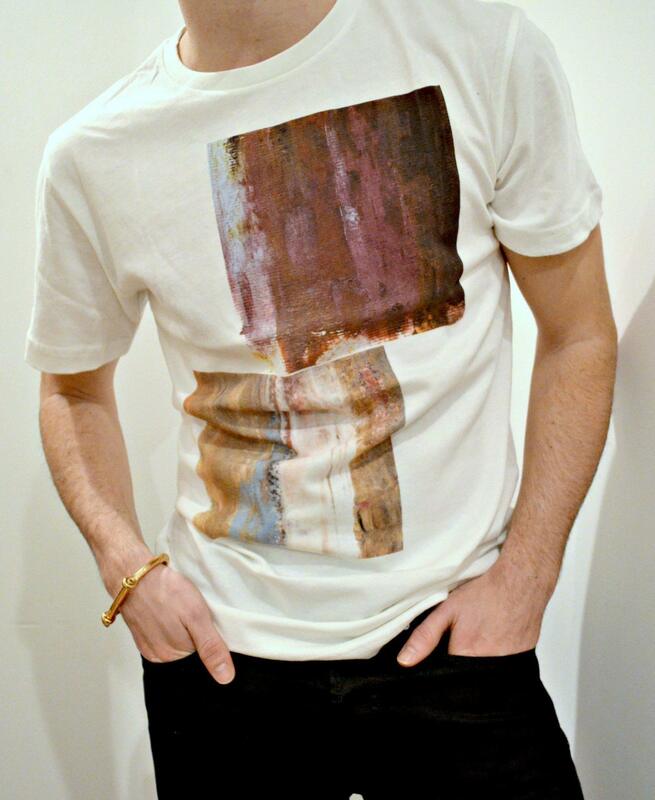 I love the fusion of art into the collection and the idea of an “artist in season” so I gravitated towards the graphic t-shirts. I was highly impressed with the quality of the jersey. Below, I’ve paired the graphic T which has modern flair inherent by the print with modern pair of jeans to create a current, trendy look. Perfect for running around town or a night out.